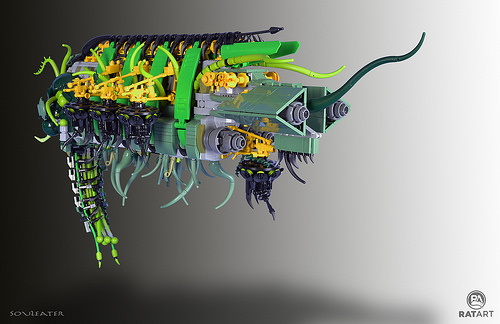 This space vessel by Rat Dude is half clean geometric lines, half slimy LEGO tentacles. Which makes complete sense, obviously, because according to the builder, this is a Terran freighter corrupted by an alien species, now used to harvest human souls. 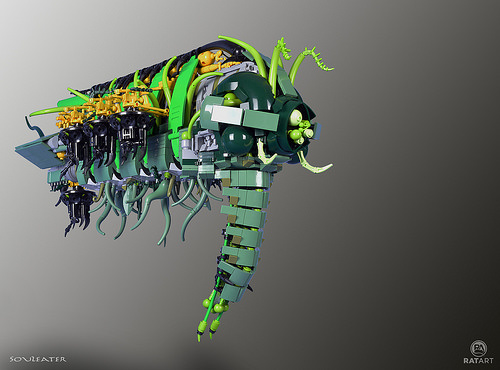 Look closely and you’ll notice a ton of interesting details, such as the dual triangular exhausts, the bright green Technic panel support beams, and the proboscis-like rudder filled with dangling ribbed hosing (presumably, this bit facilitates the soul harvesting).